María Santos is the Engagement Director for School and District Services in the Comprehensive School Assistance Program (CSAP) at WestEd. Santos provides management, oversight, and leadership to CSAP senior engagement managers and school and district facilitators. She also advises the CSAP Program Director on the development and implementation of policies and procedures that ensure CSAP staff have the skills and experience to help state and local education agencies, in turn, ensure students are well prepared for college and career. Santos also provides leadership for engagements regarding the systemic improvement of English learner education, including a Gates Foundation–funded initiative with the New York State Education Department and 25 New York school districts, as well as school district engagements in Clark County (greater Las Vegas), NV; Greeley, CO; Tulsa, OK; and Fresno, CA. 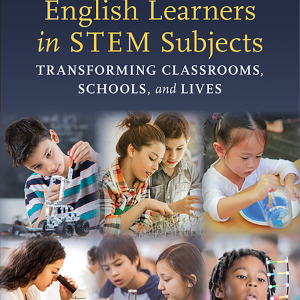 She is also the Co-Chair and Senior Advisor for Leadership at Understanding Language, Stanford University, which focuses on helping English learners meet the rigor of the Common Core State Standards and the Next Generation Science Standards. Santos previously served as Deputy Superintendent for Instruction, Leadership, and Equity-in-Action for the Oakland (CA) Unified School District. Prior to that, she was the Senior Instructional Manager and Superintendent for the Office of English Language Learners at the New York City Department of Education. She led efforts to ensure that Children First reforms were raising the academic rigor of English language learners through quality teaching and learning. Early in these reforms, Santos led the restructuring of New York City’s Early Childhood, ELL, and Instructional Technology departments. Santos also served 20 years in the San Francisco Unified School District (SFUSD). As Associate Superintendent, she supervised the development of major instructional improvement initiatives and gained SFUSD the recognition as an Exemplary Site by the U.S. Department of Education’s National Award for Professional Development. Education Week profiled Santos as a national 2014 Leader to Learn From. 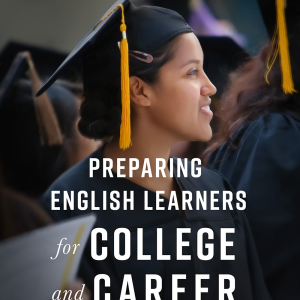 She served as lead author of the book, Preparing English Learners for College and Career: Lessons from Successful High Schools. Santos received an MS in educational administration from San Francisco State University.